Workshop 1 was held on Wednesday the 27th April 2016 in the Institute for Lifecourse and Society, NUI Galway. The first day of the workshop was open to the public and was held as a conference style event exploring the experiences of people with disabilities in exercising, or being denied, their legal capacity. The event included both international and domestic perspectives in the area of legal capacity and looked at different ways to tell stories. Speakers included people with disabilities, academics, and activists with experience of using stories to drive social change. The final programme is available here. 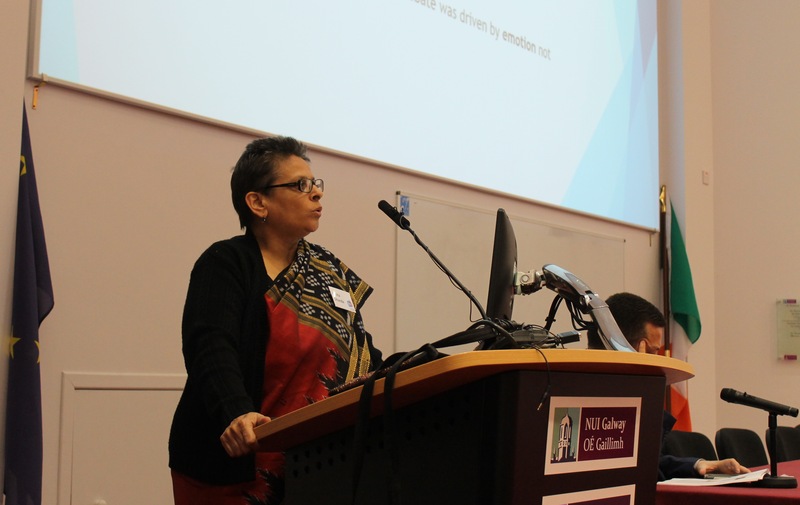 The keynote speaker was Professor Amita Dhanda, head of the Centre for Disability Studies, National Academy of Legal Studies and Research, Hyderabad. Her inspiring keynote looked to the “Logic of Emotion” and the crisis of imagination affecting the current state of legal capacity reform. Videos of the sessions are available here. The second day of the workshop was a private day where storytellers and respondents met for the first time and the pairing process got underway. Participants came from 12 countries to explore many different and exciting ways to share their experiences of exercising and being denied legal capacity. Further photos of the event can be viewed here.